I listened to most of this interview and I thought I’d share .Very inspiring,I’m so glad to be a part of this world of writing and books. Book Marketing in Five 03/14 by Savvy BestSellers | Blog Talk Radio. 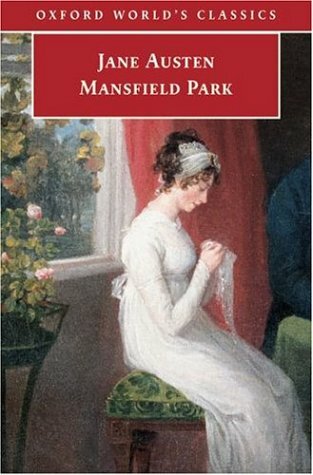 As a girl I was an avid reader of most of the classics.I missed out on some good reads though.Picked up Mansfield Park by Jane Austen yesterday.Will update my progress,from time to time I share books that I’m reading.Your comments and feedback are always welcome. This topic is too big to do in one sitting so I will do a series of subtopics.I just allow the Holy spirit to guide me as I go forward.This work is more generalisations, to go deeper I am doing more study. I want to go back to the beginning, to the book of Genesis.Man has always sought to understand where he came from and where he is going? As humanity seeks for knowledge many theories have been developed (eg.evolution) to explain our existence and where we came from.Every argument has some merit, but I do feel that there is much we don’t know still. I want to argue that the bible is right about man’s existence.The bible is the number one bestseller of all time.Not only that, do we really understand what two thousand and more years mean.I acknowledge that there are some other texts that have been around from that time also that are influential in their own right and should be respected. However I feel the Bible takes precedence because of the lives it has impacted. Two thousand and more years is a long time, if you ask me.Over that time the Bible has increased in stature, by now most books would have been out of print.Some might argue that it’s longevity might be because it’s a religious text,I believe though that the Bible is unique.I will explain another time why the words in the book is spirit.It is a book that has been deciphered ,translated,theorised and the list goes on and on.There is a certain mystique about this book that can’t be explianed.The Bible is read in more languages and countries across the globe than any other book.The immediacy,of its language,the invoking of the human emotion when one comes into contact with it, are tangible evidence of its power. love,obedience to the father, forgiveness to each other and unity among brethren. time.I think I should delve next into the history of the bible.I don’t want to bog anyone down with two much information.My aim is to be clear and concise, not to create confusion. Thanks to the people who read! I decided to repost the first chapter of the novel.I have edited the book and feel it’s up to snuff now. The novel is in production and should be out soon.Whew,it’s good to be done. It was two hours past noon on a Wednesday afternoon. Mayjean Samuel, her red hat askew on her head, sat in her usual spot under the shade of the Long Mango tree. The tree stood some distance from the painted brown and white of Mayjean’s house. Everyday at this time, regular, without fail, her crochet needles kept pace with her nimble fingers. Creating patterns, designs passed down from a long line of Samuel matriarchs. The Samuel women had an illustrious history with the crochet, with each successive generation the passing of the crochet baton was tradition, a little piece of family history. A special kingship existed between Mayjean and her brightly colored threads. Threads that were neatly kept in a worn terry cloth bag, never far from her side. Now as she sat in total relaxation, multicolored hues overflowed and spilled out in every direction as they lay nestled in her lap. The magic of the crochet lay in the creation of stunning visual masterpieces. Over the years Mayjean needles had become her best friends, keeping her company through bereavements, broken friendships, hurricane storms and the many trials of a life lived. Crochet was life, a calming pastime, a source of income and a soothing comfort. Many nights when she was sleepless and lonely, like a diligent lover, crochet kept the ugliness at bay. Bad memories and restless fingers forgotten in the pursuit of the next pattern. Mayjean had given up on her dreams long ago. Her granddaughter McKenna was the only bright light in her days now. Death had come unannounced to Mayjean, the kind of death that thrives on half empty. Infinite promise now lived in a burnt out, hollowed husk, walking in the shadows of dreams unfulfilled. As a young woman unharnessed, untapped raw potential energy had been diverted. What poverty had left intact, unrequited love had stolen, like a thief in the dead of night and had lain to waste. May jean’s saving grace had been the natural environment. She had always felt connected to nature. Each time she bathed at Swallow’s Point her favorite beach, it was as if she was soaking up strength from the Caribbean Sea. She would sit for hours just day dreaming and letting the cool water flow over her. The wind through her hair and on her skin, descended like a calm benevolent spirit pouring out a sweet salve. Like today where she sat in quiet repose on the embankment. She was content in this moment. A slight breeze ruffled the leaves of the Mango tree. Its branches laden with ripe fruit, some were hanging down within arms reach. Children and passerby stoned the tree while standing in the street and would whoop with delight when a ripe mango would come down. May jean’s mangoes were sought after in mango season, it was rumored that they were the sweetest in the village. Children going to and from school or making errands in the shop for their mothers, found themselves under the tree. Being a weekday most children had gone back to school for the afternoon. Except for the occasional vehicle passing through the village of Chantilly, silence hung quietly. From her vantage point Mayjean could see everyone who went by. Poised and unruffled she commanded respect. No one stoned her tree when she sat under it. A fixture in the village her word was law, she had borne her trials with rare dignity, she never railed at life. She liked to sit in the afternoons and see people going about their business. Bepto a jack of all trades and master of none came up the street with a bag perched on his head. In the heat of the afternoon, sweat poured down his dark bronzed face, in an unbroken line. ”Hey Mayjean ah wa go an tiday”. ”You got it going on Bepto, ah wa mi dat” replied Mayjean. “You bag heavi sah”. “Som pempere mi pik up dong daye by Alfred”. ”Okay sah”. Under her breath Mayjean whispered “the nerve thieving, son of a gun”. She remembered a time when Bepto’s father Sandman walked the streets in the same manner. The apple doesn’t fall far from the tree she thought. Bepto was always in somebody’s business, insults never deterred him. After Bepto went on his merry way, Ursula the village drunk and little Benji went by. Ursula had no special time of day to get drunk, she was a disgrace to her children and family. Many a time she had to be helped home because her legs, unsteady from the bottle would not cooperate. On the weekends she drank from sunup to sunset and her partying knew no bounds. Friday was payday, standing in line at the banana boxing plant; Ursula wore a silly grin on her face. Her grin was cut short when she came from the line and she had to go with her mother and daughter to change her pay cheque. If her mother did not intervene her children would have starved for sure. Ursula like many others in the village had worked hard when banana was king. Most people had earned a good living then, now the economy was in a shambles. Ursula’s drinking was in part a coping mechanism. It was depressing, finding money to feed and clothe a house full of children. Those who could find steady employment faired better than the seasonal workers. People in Chantilly and most of the island now relied heavily on the service industry as a source of income. Drunks, men and women alike created quite a spectacle and provided much humor in Chantilly. Ursula was a tiny wizened woman of about five four. Her skin had become leathery from sun and alcohol abuse. Hair once black and shiny now hung limp and was usually tied back into a bun. Brown kind eyes that were once creased in open smiles looked into the world now with scorn and derision. It was as if Ursula came alive only on the weekends when she left her five children with her mother and she shared kinship with the bottle. Music and Caribbean rum went hand in hand in Chantilly. Occasionally there would be a village blocko or big dance on the weekend. Loudspeakers would blast music, the usual suspects would be the Mighty Sparrow Calypso songs or Bob Marley’s reggae tunes. Sometimes Sparrow’s ‘Jean and Diner’ would often spill out into the streets and the alcohol laden hips would gyrate, keeping time with the music. Ursula would be in her element then, she would dance and curse like a hurricane had come upon her. One of her drinking buddy was Tom Theodore. He made sure you knew who he was after one of his binges. He would stand in the streets swaying, staggering and beating his chest. In his best drunken drawl he’d say, “I am Tom Theodore everybody loves me”. Then his buddy Ursula would high five him. Their act had grown stale though, but they continued on unawares. Mayjean was fond of the little Benji. Benji a boy of six showed great promise to come. He was a fast learner and Mayjean took pride in his accomplishments as he always excelled in school. The older woman would save treats and mangoes for him. Today like every other time “Mayjean” shouted Benji. “Come, child I got something for you” said a happy and jovial Mayjean. “Go in the corner of the porch, you see the bag there take it to your mother”. ”Thank you so much mama jean”. Benji knew there was something in it for him; he took of running as fast as his little legs would carry him. The boy’s father had left before he was born, the news came that he had started another family overseas in one of the neighboring islands. Claudia, Benji’s mother was a strong woman who reminded Mayjean of a younger version of herself. Claudia eked out a living planting a vegetable cash crop garden. She was extremely fond of Mayjean, because of the extras the woman provided, for her three children and herself. Life was a challenge for Claudia but she did a good job of raising little Benji. Time passed slowly. Children on their way home from school after the four o’clock hour signaled that the afternoon was coming to a close. In the later months, night always came early to Chantilly. Mayjean thought she had better start making preparations for supper. She had left McKenna, reading one of her many books, curled up in her favorite chair under an open window. Harmony and tranquility reigned in the home they both shared. Their relationship was based on mutual trust, love and an acceptance that together they could overcome life hurdles. They were comfortable with each other, a special kinship formed from living and sharing together. Mayjean had raised McKenna since she was a baby in diapers. Neither woman knew that their orderly world was about to come crashing down around them. Trouble was brewing its ugly, malevolent head. It wouldn’t be long before the bond forged between these two would be tested and torn asunder. McKenna’s greatest passion was the love of reading.When she wasn’t working at the small cooperative credit union in the village, her head was always buried in a book. “Where’s that girl…McKenna! “Bring me some water”. “Yes mama jean I’m coming” shouted a breathless McKenna, running as she brought a tall glass of water, ice chunks creating their own symphony. “Where were you daughter” Mayjean pretended innocence? ”Oh! I was just speaking to Brain” replied McKenna. ”Yu hear mea wan yu” “ah wa he always a call yu over fa”. “Mamajean we are just friends” laughed, a widely smiling McKenna. History would not repeat itself thought Mayjean she would make sure of it. Books that transformed my life. I would recommend these books to anyone who is tired of living the same old existence.If you want a new you,spend some time reading these books. I guarantee you,they will change your thought process. If you read these mindfully and incorporate some of the principles into your life you’ll be transformed. I went through a difficult marriage and bitter divorce.Difficult circumstances cause pain and suffering.I had reached the lowest point in my life.I needed new thoughts,most importantly I needed change if I was to survive.At times the books found me,sometimes I would browse bookshelves or listen to the Ophra show.Reading and studying,slowly a transformation started happening and I became stronger. The Holy Bible is my first choice.I feel the Bible is a manual for life.Prayers have strengthened me and given me much faith.We are spiritual beings and we need to feed the spiritual man with spiritual food.Is it any wonder then that the Bible is the number one selling book of all time. The Success Principles by Jack Canfield with Janet Switzer. Prayers to the Great Creator by Julia Cameron. The Artist’s Way Every Day by Julia Cameron. The Secret Daily Teachings by Rhonda Byrne.